September | 2013 | Azazel's Bitz Box. 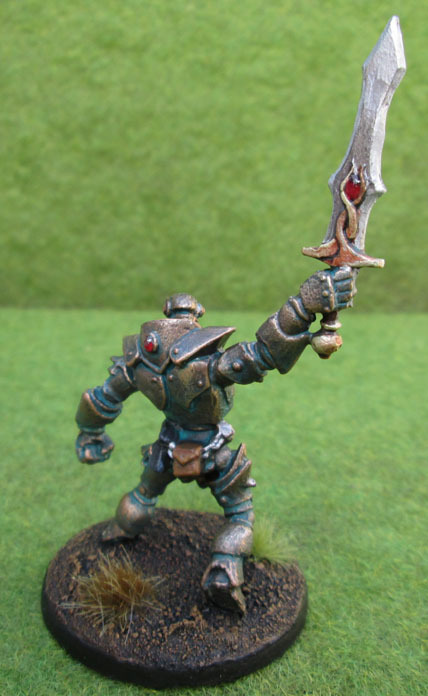 The Plan is to paint up a fully functioning army to use in Mantic Games’ Kings of War. 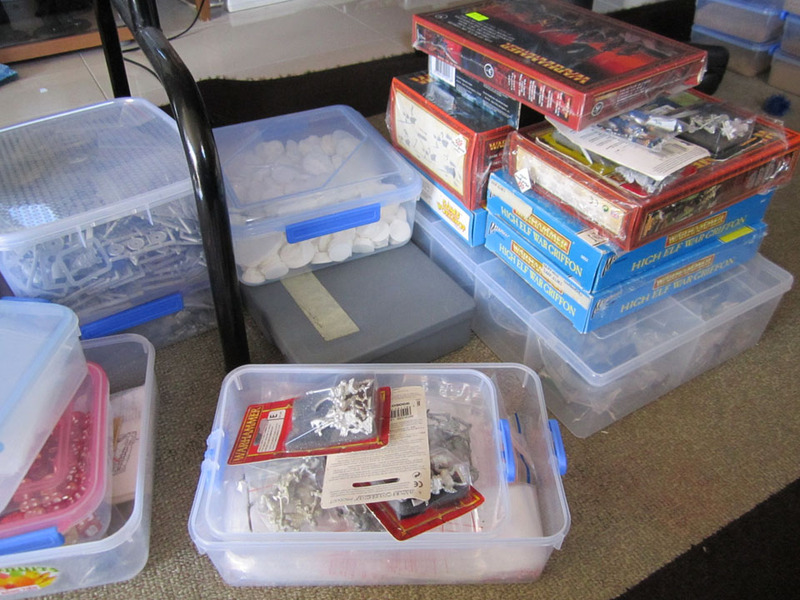 I’ve had the makings of a good half-dozen or more fantasy armies for many years now, stashed away inside various boxes and figure cases. 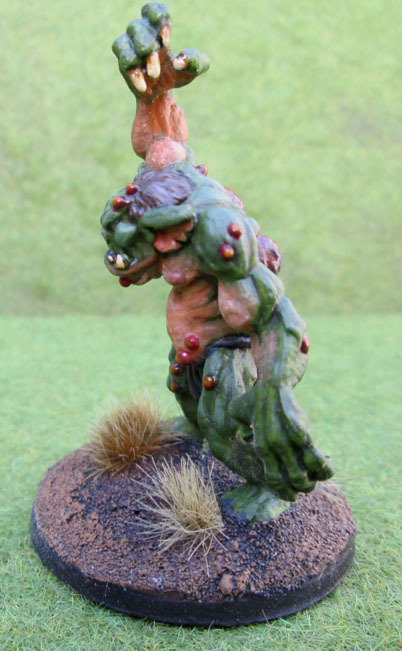 All never likely to see the light of day in between not having really properly played Warhammer Fantasy Battle with any regularity since 3rd Edition and my general misanthropy when it comes to going out to clubs or FLGS to look for games. 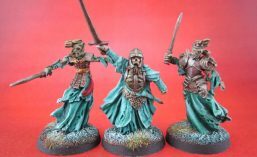 With the advent of Kings of War, which is apparently fast, elegant and easy to learn, and some online battle reports like this, my interest in Fantasy Battles, with Armies has been reawakened. 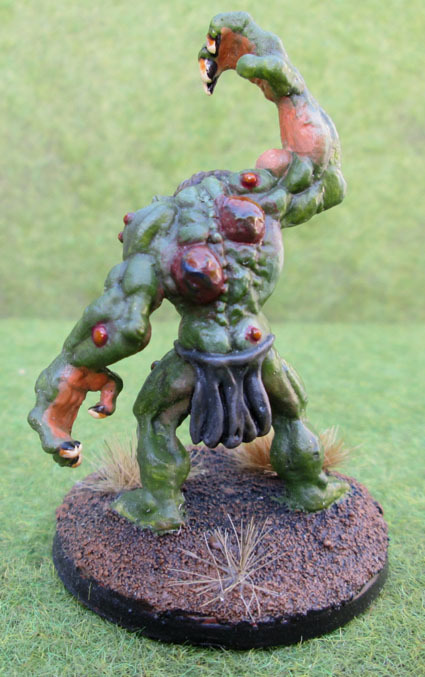 I have to say, while I’m not usually a fan of Battle Reports (WD has put me off over the years) there was just something about the combination of old-school, DIY, fully painted and a little bit rough around the edges of the pics in this report that really reminded me of WHFB 3rd ed. Not the Mantic rules (which I admit, I still haven’t read), but the feel. Mixed figures, paintjobs other than the stale GW studio armies. Real people’s work (which is one thing I always preferred to see in WD). So anyway. 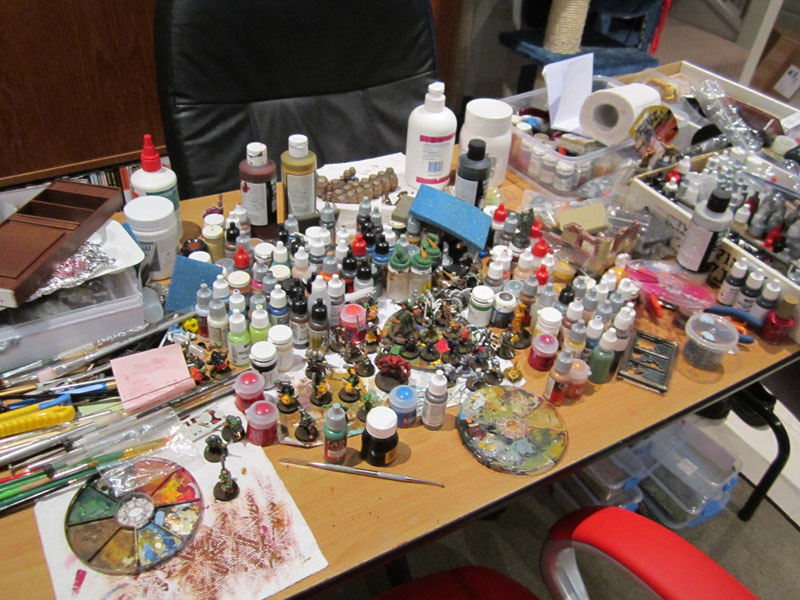 With the help of my mate, JudgeDoug of DakkaDakka and Mantic Forums fame, I’ve decided to dedicate all of my hobby time during my two and a half weeks off to cleaning off all the random stuff from my painting desk. He’s kindly agreed to write up the army lists based on what I have available, and I’ll take care of the rest. My Painting Desk. Last week. Also, today. But it’s not just going to be 2 weeks of solid painting. I’m sure we’ll also go out for meals, play computer, board and console games, have friends over, sleep in, take my mum to the Zoo, watch TV, DVDs and BluRays, fix the back fence, mow the lawn, clean up the garage a little more, and… Maybe I’ll go out until 5am and update my tumblr, too! well, you get the drift! So while I’m hoping to get a lot done, who knows how this will turn out? 1) I’ve always preferred Round bases and have never especially liked square ones. 2) After more than a decade of not playing WFB, I figure the “just in case I want to use them in Warhammer” excuse to not paint them because I’d rather use rounds has expired. 3) I do like those games based on books about Rings. You know the ones. 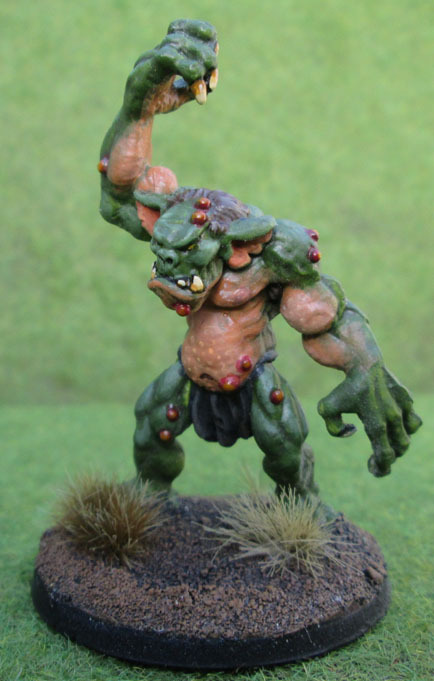 They use both round bases and also round-slot movement trays to drop them into. 4) I’ll use those trays. 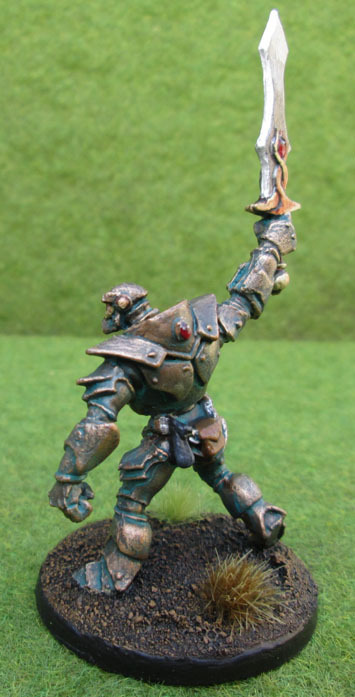 5) If need be, the fantasy figures can do double-duty in those games about Rings. Even if they don’t look exactly like what WETA produced. Since I’ll most likely be using these figures in friendly games in my own home, everything will be based consistently, and so there’ll be no “advantage” to one side over another based on unit base size. Besides, I be playing for teh funz0rz. 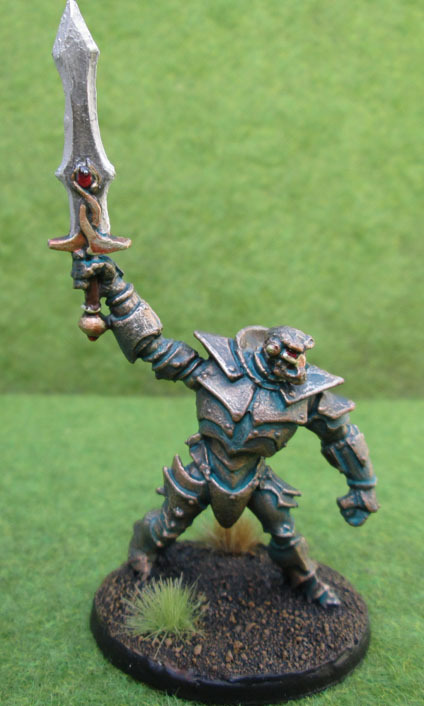 The contestant(s) for this challenge will be a Kings of War “Elf” army, made up of Citadel’s High Elves (and maybe a few Wood and Dark Elves as well). 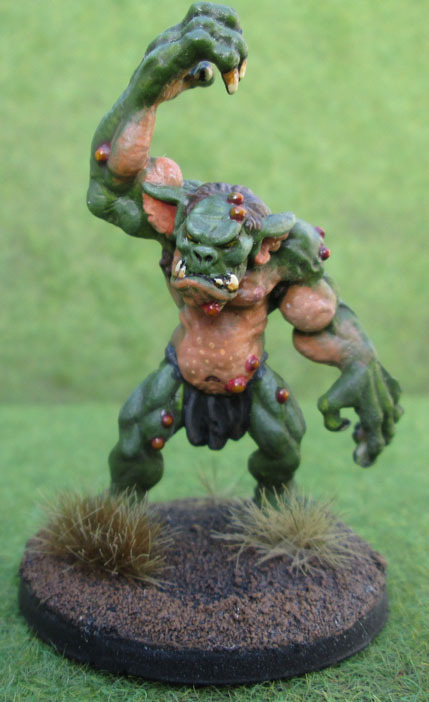 In the unlikely event that the Elves actually get finished, I’ll then be starting phase 2, which will be the second contestant – an Ogre army, made up of my very old-school Citadel models, some Ogre Kingdoms models, and the metric shitload of Mantic’s own Ogres that we have coming as a result of the Kickstarter – which are (hopefully!) due to arrive anytime now, and hopefully before the holidays begin. 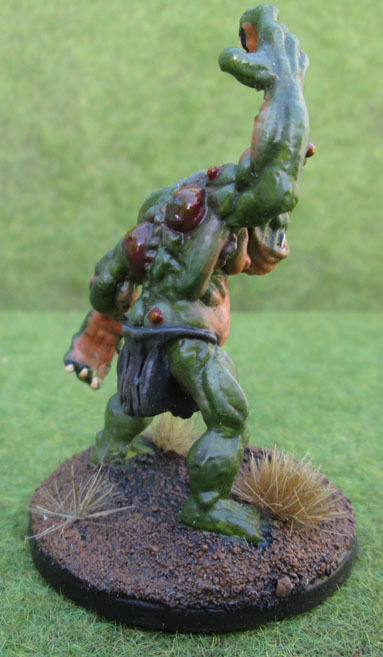 The Ogres should have a much smaller (I hope) model count, and with the already finished figures thrown in, as well as how much I enjoy painting the big old brutes, should also be achievable – at least theoretically. So in short, I’m going to put aside all the random crap on my painting desk, and the painting ADHD that I have in order to focus for a short, specific time, and hopefully have something tangible to show off and even use(!) at the end of it. While I’m going to wait until next Wednesday night (18th September) before I allow myself to start painting, I figure I’ll allow myself to assemble, base and prime figures before the date.